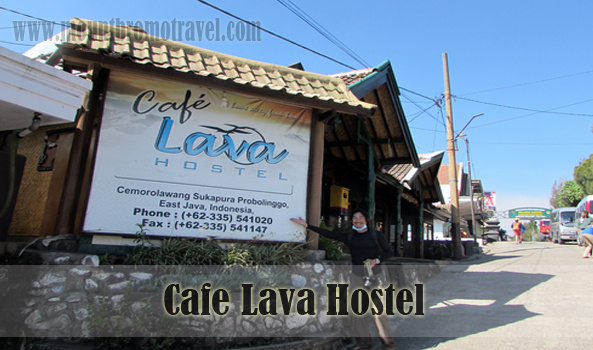 Cafe Lava Hostel is part of Lava View Lodge and one place to stay and is located in Cemoro lawang, ngadisari, Probolinggo, the nearest city to the edge of Mount Bromo. If you don’t plan to stay any longer than a few night after exploring Mount Bromo, Cafe Lava Hostel is the perfect choice for you. Here are some information about the hostel facility and the room rate you will have to pay if you stay the night there. People who have stayed in Cafe Lava Hostel would recommend this hostel for short stay only. With no fan or air conditioning in the basic room, you don’t want to spend many nights here. The facility is sufficient for resting after exploring Mount Bromo East Java, Indonesia. Cafe Lava Hostel has six types of room you can choose from. They vary based on their capacity, facility, and rate. Here is the list of the room types in Cafe Lava Hostel. As you can guess from the name, this type of room is suitable for family visitor. It is a room for four with LED TV, hot water, coffee maker, and mineral water inside the room. You will have to pay IDR 900.000 for one night, breakfast included. Same as the Family A room, this room type have enough beds for four people. The cost per night is IDR 800.000. A family of three or three best friends can stay here and split the bills. The rate is IDR 600.000 per night. The facility includes hot water, coffee maker, mineral water, and LED TV. It is a room for two with standard facilities like mineral water, hot water, LED TV, coffee maker, and breakfast. Prepare to pay IDR 450.000 for this type of room. It’s basically the superior room, only the location is not as good as the superior one. You will not get the welcome drink either when you first come to the hostel. The rate is IDR 350.000. This is the cheapest room in the building. If you don’t spend much time in the hostel, this is the room type for you. The rate is only IDR 150.000. The only sacrifice you have to make is to share your bedroom with other people who book this type of room also. But in low season, you won’t feel like you don’t have a private bathroom because there will be less people to share the bathroom with. With its location being near to Bromo, you won’t need to worry about the jeep is being late to pick you up from Cafe Lava Hostel.